one snowy eve not so long ago, the risk got hauled from the game closet, from the near-cobwebs more likely. the little one brought it up by the fire. we all joined hands and sat in a circle (just kidding, just that that scene was starting to feel so walton-y, so little-home-on-the-prairie, i got carried away…). actually, we spent close to an hour rolling the dice, positioning little men with their miniature weapons. covered the map, yes we did. and then, for a coupla weeks practically, the men and their armies stood motionless. frozen on war fields. a board game that never took off, got shoved under a table. a board game turned still life turned dust pond. i risk being banned from the playroom, and yet i confess. it is, probably, my no. 1 downfall of parenting. the thing that cuts me off at the knees, every time. i am, when i catch myself squirming, up to my kneecaps in guilt over it. even alone, i wince at the shame of it. it’s the down-on-your-knees part of parenting. the fumbling and fiddling and piecing together (fill in the blank here: lego, building blocks, board games, you name the vex on your knees) ’til you’re blue in the face. blurry eyed. cramped in the joints. weeping. dare i mention the b word? yes, bored. and so, so ashamed to report, you know what i do about it? pretty much nothing. i am, it turns out, not terribly good at getting down on the ground, on the rug, on the cold basement floor and futzing with things. not even when a rich imagination—or just plain old fun–is the thing that’s at stake. seems in my first go at this, when i was the mama only of boy no. 1, i was decent enough. concocted all sorts of plots–grocery stores out of old cartons and cans; a train, once, out of a box that stored copy paper; a school with stuffed animals filling each desk. but now, now that i’m old enough to have been asked too many times if my little one is my grandbaby, i seem to have lost my knack—and my desire—for getting down on my hands and my knees. it is a vexing conundrum. we live in an age of so many conveniences—instant mashed potatoes, e-z wash wipes, drive-thru lattes—but the one thing there isn’t (and shouldn’t be) is a condensed, abridged, add-water-and-stir version of pure, simple, child’s play. in the word of that great observer/analyzer/thinker of what makes creative types ooze with creation, mihaly csikszentmihalyi, there is not enough flow in the floor play. not when i’m in the picture, there’s not. and that is not, i assure you, something i’m proud of. i look at the titles that pack one of my bookshelves. i have a whole row just on natural parenting. i gulp, wondering if i might be something i’d dread if i’d ever before given it this thought: what if i’ve somehow become an armchair parent, one who guzzles and gulps whole chapters and verse on the virtues of childhood the old-fashioned way. without screens, without clickers, with free time to play for hours on end, fueled on imagination, and the occasional pretzel, alone. but then, where the knees hit the rug, i’m dismally distracted, multi-tasking, two-steps-behind-and-fretting-every-step-of-the-way, ’til finally i push up from the ground, i surrender, i dash or i dial, i do anything really but stay on the floor with my child. my mother, the wise one, tells me not to worry so much about the house, whether it’s clean, laundry folded, food on the table. but yet another wise friend, one who works hard at being a beautiful mother, made a pledge, for a month, to get on the floor with her kids. each one, an hour a day. there are, i admit, some parts of this job, this mothering, that i do do quite well. i can talk and emote ’til you’d be red in the face. not me. i keep on. but point to the toy closet, haul out a game, and i start getting itchy all over. i am, in the end, mama erectus, a mama who’s best on her feet, mouth moving. maybe it’s futile to kvetch and to worry. maybe this floor play isn’t all it’s cracked up to be. but, dear doctor freud, deliver me please from this guilt. all i know is, thank god in our house there are four hands to carry this load. the man who i married, father of said boys, boy 1 and boy 2, is quite a bit good on his hands and his knees. building with lego. making like frank lloyd wright with the blocks. racking up real estate, one green hotel at a time, in the wonderful world of monopoly, the wonderful world where you do not pass go, do not collect $200, instead go directly to jail. which, sometimes is where i have dreams i’ll be sent, if the parent police ever catch me utterly absent when it comes to time on my knees. i confess my sins here, wondering if you too find this—found this—a part of the job description where you come up—came up—short every time? or at least a whole lot of the time. for those of you who look back on floor play as a thing of the distant past, have you any wisdom to impart as you glance through the rear-view mirror? some of you might find deep solace on your knees. care to pass along your secret to kneecap nirvana? I have to admit, my boredom came with the introduction of the barbie dolls in my home. My second child received many hand me down dolls with an unbelievable assortment of accessories from dear well meaning friends. After about five minutes with Barbie, I would say “OK, Barbie needs to go to work now, she’s done with the day out with her friends, the princesses of Disneyland.” Having been sandwiched between four boys in a family of eight children, I didn’t ever really learn to play like this. 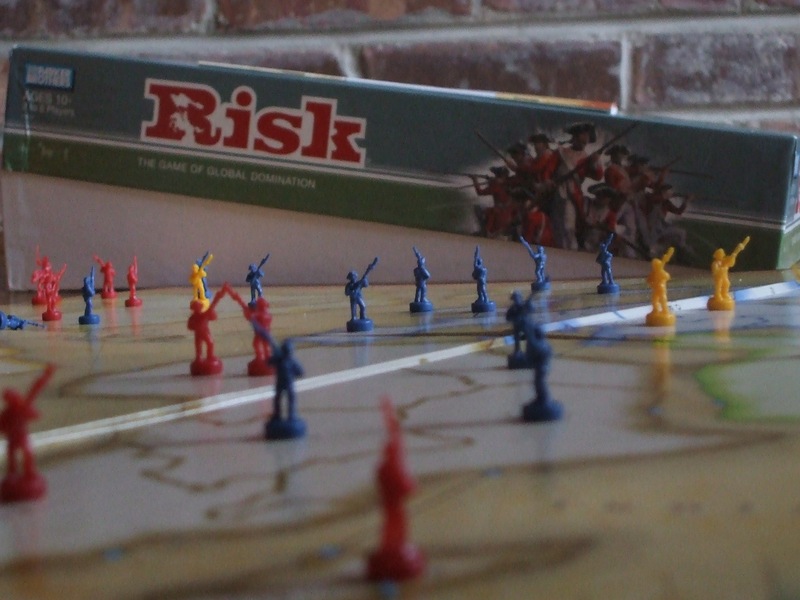 We played cards, war, hospital, school, town….occasionally risk or monopoly. I like a board game that can be played in under 30 minutes. Scrabble is my personal favorite and I can’t wait until my children can give me a run for my money. I will do DDR (dance,dance, revolution) it is exercise and fun and doesn’t require you to sit on the floor!I don’t need to be the person on the floor…that is someone else’s role in my children’s life and that, at 50, needs to be ok.I can’t be everything to anyone, just who I am right now. NO GUILT! So stand at the island, be silly, give soulful wisdom and let someone else get their knees dirty! Preach it KD-NJ. As a child my play was more like yours than my daughter’s (which involves a lot of Polly Pockets). And for some reason back then we all thought it was safe to allow children to run around on their own a great deal more, so I did a lot more of that. There was really, truly a lot of non-adult time. Too much, I readily confess. But I think there has been a wild pendulum swing in the other direction which at the very least certainly adds more guilt to mothers’ days.There’s something really good about maintaining some boundaries between the world of adults and that of children. Play itself is sort of a big boundary all on its own. Adults don’t really do it, do we? This is a thing which historically has been consigned to childhood, it is one of childhood’s defining characteristics. But that line between childhood and adulthood seems to get vaguer and vaguer all the time. Somewhere along the way when we started organizing childrens’ time so they began need a day-timer to keep track of their schedules, about the time we started giving the littlest ones backpacks to wear to school, and about the time we started expecting kindergarteners to write 10 sentences for homework, and first graders to write a research paper, and third graders to compare and contrast literary genres, and fourteen year olds to undergo something like a college search for a high school (at least here in Chicago)–somewhere about that time we started being told that adults needed to get down and play with our children, build forts out of furniture with them, “supervise” (not to say “do”) their homework nightly, be their best friends, and run a household in which the opinions and decisions of the children had as much weight as those of the adults.It was about that time that I looked around and thought I had fallen down the rabbit hole. I really, truly do think it’s okay to stand up, do chores, cook dinner, bake. These are all now my vital times of togetherness with my little daughter, for I am very bad at playing her games with her. (I mean, even if I try she constantly tells me, no, you can’t do that, the Pollies are the enemies of the bunnies. No, not that either, nobody wants to sit at the doll house table and have tea. Etc.) When I want to have a real good snuggly time with my daughter I read to her. When it’s warmer we’ll go for walks and collect dandelions–but I’ll let her go wandering off in larger and larger circles to find the best dandelions, while I hang back and watch. Because I know that I am a fairly crotchety old mama, and she will actually have a much more magical time on her own.No cause for guilt about that; it’s one of those things that just is. I’ve got four kids, ages 13 to 29 and there are a few play activities that I have always hated. One is board games. I have such an aversion to playing that my kids accept my reaction as though I have an allergy. After a while, they wouldn’t even ask if I would play. They would say, “Mom doesn’t play board games, ” like other kids might say, “My mother doesn’t drink alcohol.” One day, I said that I felt like playing a game of Scrabble, and the kids thought something was wrong with me, that I had fallen off the wagon. The funny thing is that I LOVED playing board games as a child–Monopoly, Life, Chinese Checkers, Chutes and Ladders, Operation, Clue. And, my parents were always there to play with me and they seemed to enjoy it.The other play activity that I never got the hang of was pushing kids on swings. That, too, seemed very boring and repetitive. I think both of my dislikes really mean that I have trouble being “in the moment”. It shouldn’t make me feel bad about myself, but it does.